A fantastic range of wine kits from Youngs Homebrew. 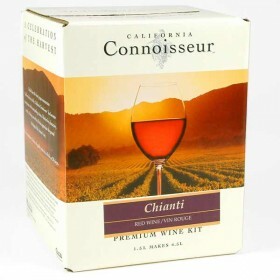 These kits are made from the finest grape juices ever to come out of California. 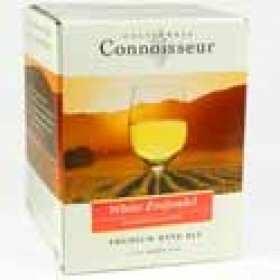 The California Connoisseur selection is regarded by many as the best selection of wine kits in this price range. Each box is made in just 28 days, and produces a wine that would easily compete in terms of body, nose, clarity and taste with any mid range wine found in most supermarkets. You can serve these wines to your guests with complete confidence, and then amaze them at your own enological abilities (that's winemaking). 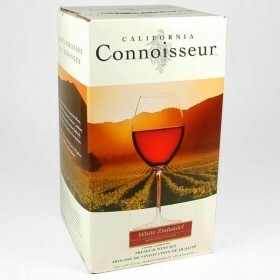 California Connoisseur must be considered the connoisseurs choice! A classic wine that boasts black pepper and berry bouquets. Notably flavorfull, with tannins that de..
Super ripe fruity and bold flavoured wine. A delicious and satisfying New World Winter Warmer, with ..
Sweet plums dance across your palate. A refreshing medium bodied wine with a touch of sweetness. ..